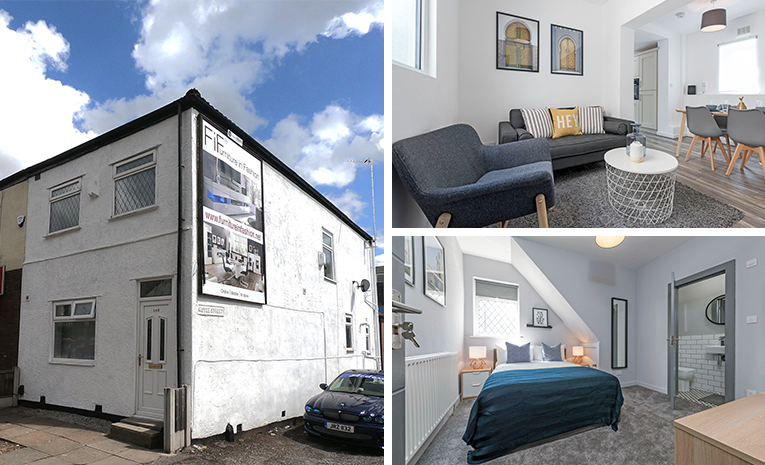 Fresh Invest is delighted to release a superb high spec, fully furnished HMO House located in Walkden, Manchester. An opportunity to purchase a full “turn key” investment property where the refurbishment, tenancy and management is all taken care of. Sourcing, Purchasing, Converting and Managing an HMO is a laborious project and one which should only be undertaken by professionals. By working with our investors we have structured an investment in high yielding HMO houses in significant growth areas. This property will be sold fully refurbished and tenanted with a full furniture pack included. Walkden is situated approximately seven miles north west of Manchester city centre. Walkden town centre is currently undergoing a £70 million revamp to help it adapt and compete in a transformed and challenging marketplace. The comprehensive redevelopment of the Ellesmere Centre has transformed the town centre through the delivery of one of the largest Tesco Extra stores in the UK which opened in September 2010. Large scale re-modelling of the Ellesmere Centre and Ellesmere Retail Park to create modern sized units has created over 70,000sq/m of new or improved floorspace and attracted a number of national brand retailers and businesses. Further discussions are ongoing in terms of attracting additional major national and local retailers to the centre.